The Greenwood-Coxwell community, located east of Yonge Street, is among the city's most up-and-coming areas. This diverse cultural hub is home to Little India and borders Greektown, making it a red-hot location for buyers. The area is a blossoming community of families, and everything you need is within minutes from your front door. It’s a cozy neighbourhood that is still extremely accessible from the downtown core. Plus, the Greenwood-Coxwell welcomes new businesses every day urging young entrepreneurs from all walks of life to flock to the area and open up an array of global eateries, retailers and community meeting places. Further, Greenwood-Coxwell is rapidly becoming Hollywood North’s destination for movie magic, thanks to its proximity to the massive Pinewood Toronto Studios. You never know who you might come face-to-face with in this buzzing locality. Little India has to be the most recognized community feature due to the number of amenities that fill the vicinity. The district owes its existence, in part, to the popular South Asian cinema -- The Naaz Theatre on Gerrard Street -- which opened its doors in 1972. Gerrard-Coxwell benefits from a diverse community covering nearly every corner of the globe, most notably however, the area is known for its Little India and Chinatown East locales. Thanks to an eclectic gathering of businesses in the area, Greenwood-Coxwell has a Walk Score of 88/100, meaning most of your errands can be done on foot. The area has a slightly lower Transit Score of 82/100, but residents can still enjoy all the benefits of an accessible transit system. The closest subway station is Coxwell, on the TTC’s Line 2 (Bloor-Danforth), and there are plenty of north-south buses that can connect you to the station in minutes. At the most southern point of the neighbourhood, residents can access the 301 and 501 Queen streetcars, which will take you right into the heart of downtown. Additionally, most commuters in the area choose to travel by car, and the neighbourhood is close enough to some of the largest commuter roads in the city. 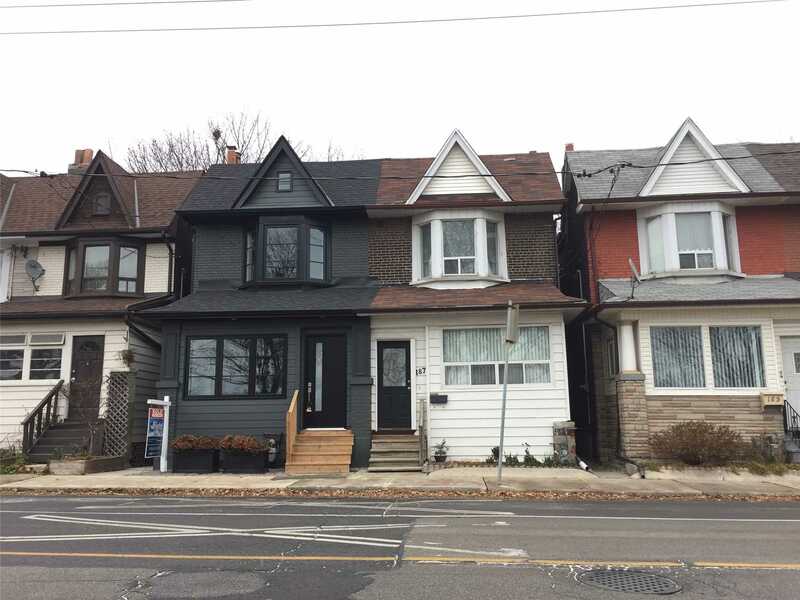 Families make up most of the Greenwood-Coxwell neighbourhood, so chances are you’ll be living next door to a family unit, usually with children. The following data was obtained from the 2016 Greenwood-Coxwell neighbourhood census profile, and the City of Toronto Ward 30 profile. Average prices are determined by the realestatecondos.ca listings. Gerrard-Coxwell’s epicentre is Little India, a place where you can browse some of the most exotic clothing and trinkets available in the city, many of which are sourced from overseas. This robust area is rich in bright colours and activity, and from soft silks to hand crafted ornaments, you’ll most likely find exactly what you’re after. If you’re a wholefood nut, then Victoria Whole Foods is the perfect stop for you to stock up on your weekly essentials. It sells everything from freshly picked vegetables to ghee, and even occasionally serves up homemade perogies for hungry punters. For unique pieces of homeware, try out Birch & Co., which offers items made from North American designers, including jewelry and stationary. If you take a stroll up to Gerrard Street, you’ll find one of the most stocked cheese specialists in the city at The Pantry Fine Cheese. The artisanal cheeses on offer are sourced from producers around the world, making this spot a go-to for cheese enthusiasts. If all that isn’t enough, Queen Street East borders the southern end of this neighbourhood, where you can take a walk and be greeted by small, independent shops, specialty grocers and eclectic fashion outlets. As you may imagine, this area is a thriving centrality for delicious eats, and you don’t have to look far for something delicious to fill you up. Udupi Palace is one of the city’s go-to restaurants for vegan, vegetarian and gluten-free South Indian eats. Despite the 100% meat-free menu, this place never struggles for patrons. Its heritage is based in the town of Udupi, on the southwest coast of India, and offers up some of the finest highlights of Udupi cuisine. Or, for something a little different, Pizzeria Via Mercanti has its easternmost post on Gerrard near Coxwell. The menu is much like that of its other Toronto locations: pizzas, salads and shareable platters. This rustic joint is part of an influx of new and increasingly diverse restaurants opening their doors on Gerrard East. If it’s a pint of beer you’re after, try out local watering hole Two Headed Dog in the heart of Little India. Not only can you find a great selection of Toronto’s finest brews on tap, but there is also a full menu of pub grub ranging from Shepherd’s Pie to Sri Lankan Curry. For the coffee lovers, one of the most special coffee shops in the area has to be The Social Gardener. This cafe doubles up as a community space and resource centre for immigrant women located in the region. Although the cafe is open to the wider public, it works in partnership with the adjacent Riverdale Immigrant Women’s Centre, and caters to ladies seeking resources and help for all kinds of important topics. For the artists in the area, there are two art spaces that offer workshops, classes and shows. Lens Work Gallery, located on Dundas East, is a photography gallery that exhibits local artists focussing on themes of street life, faces and signs. Similarly, Gerrard Art Space exhibits the work of local artists and doubles as a community-focused gathering place, also offering their own crafty workshops. Fitness fanatics are also well taken care of here, with a new Goodlife Fitness having recently opened its doors near Coxwell and Gerrard. Across two floors is a vast range of speciality fitness equipment, including free weights, spinning machines and cardio machines. The gym also hosts classes for members. Luckily you don’t have to go far to find green space in this snug neighbourhood, so whether the kids want to run around or you need a dog walker’s haven, there will be a park for you. Spanning 6.2 hectares on Greenwood Avenue is Greenwood Park. It features two ball diamonds, a multipurpose sports field, dog off-leash area, community garden, splash pad and children’s playground. Plus, on hot mid-summer days, cool down in the outdoor pool at the park’s north end. During the winter months, get your skates on and make the most of the city’s first covered outdoor artificial ice rink. Jonathan Ashbridge Park, west of Coxwell, is a smaller park but remains popular with families thanks to its two outdoor tennis courts, a wading pool and a children’s playground. Further north on Coxwell Avenue, just a stone's throw from the Danforth, is Monarch Park, another larger outdoor space that features a dog-off leash area, outdoor pool, wading pool and a children’s playground. In the chillier months there is also an artificial ice rink. 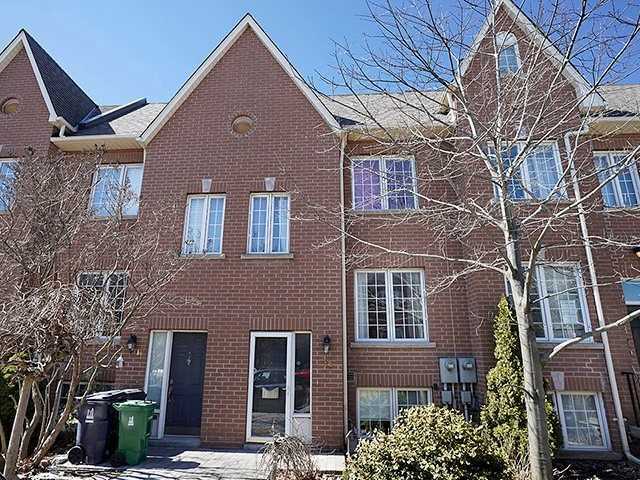 If all of that isn’t enough, the neighbourhood is an easy commute east to the Beaches, where you can pick from four different sandy expanses, as well as a couple of huge parks.